Of all the camping destinations our troop has visited in the past several years, none has more varied activities than in North South Lake. In addition to having dedicated camping trailer sites, there are heated bathroom facilities. Inside the park, it is an endless playground for outdoor adventurers. 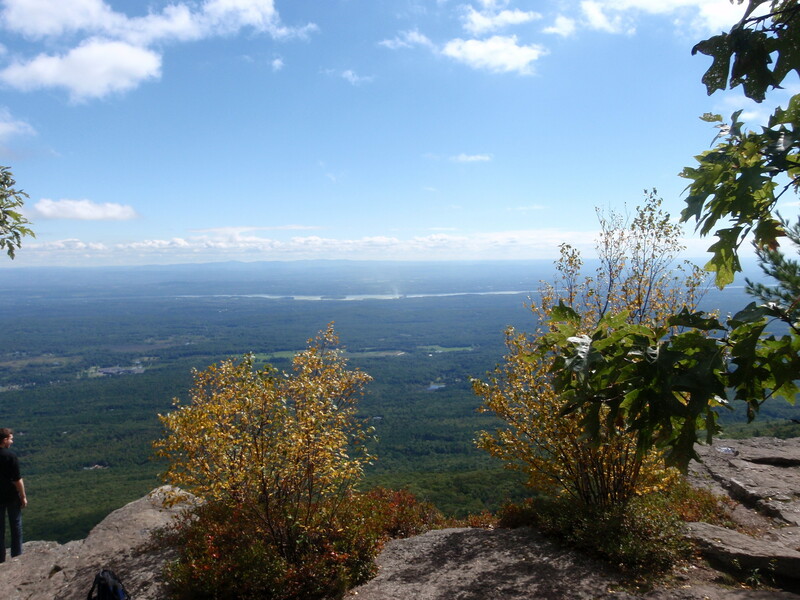 Many families are out on the famous Escarpment Trail with their dogs; unusual rock formations allow for climbing and exploration; one can rent canoes or kayaks for the lake; fishing is allowed; and there is even a playground for young children. The troop was able to enjoy lunch near the famous Lovers Leap overlook, where reportedly you can see as far away as Massachusetts. As the first fall campout, scouts got a brief dose of the scope of activities in the park just prior to an afternoon squall–and how quickly a storm can roll in–and how cold it can be in the Catskills. Many of the scouts had to scramble down from their rock climbing before the storm hit fully. Fortunately, the rain lasted only a short time and served to keep the temps chilly with the constant wind. Scouts seemed to enjoy their cooking, as each patrol had a dedicated fireplace on their site. 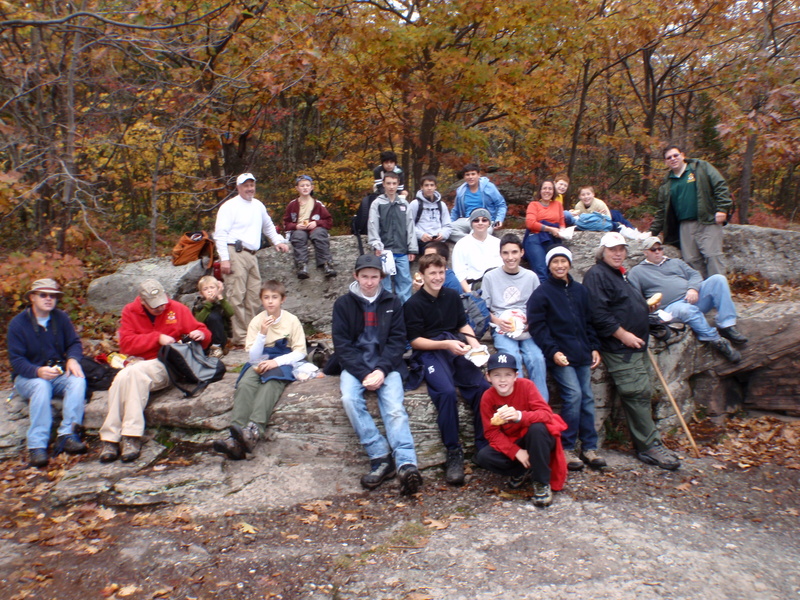 The next day, scouts got organized with breakfast and cleanup in order to visit the famous Kaaterskill Falls on the way home. These double-falls combined are reported to be higher than Niagra Falls. Due to the large amounts of rain in September and October, the full force of the falls was respected greatly. All scouts agreed, that stopping to visit these massive falls was a “Rose” for this memorable campout. Check out the breathtaking photos here and you will want to join us next time! The 2011 Fall Court of Honor and Pot Luck Dinner was another huge success! An ongoing slide show, lots of good food and good fellowship preceded the formal Court of Honor! The dinner was a huge success in itself, largely due to Mrs. Rose Poletti, Leah Lazzaro and Lisa Brown–thank you ladies!! 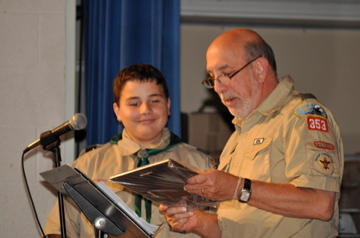 As the Court of Honor that immediately follows summer camp, there were a number of merit badges and rank advancment patches to hand out. 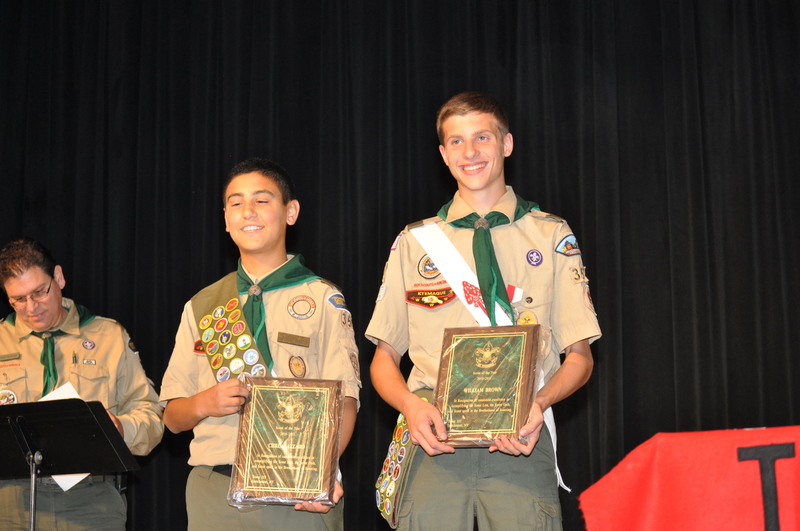 In addition, it was the announcement of the Annual Scout of the Year award and the Good Turn Service Award — the troop’s most prestigious awards! 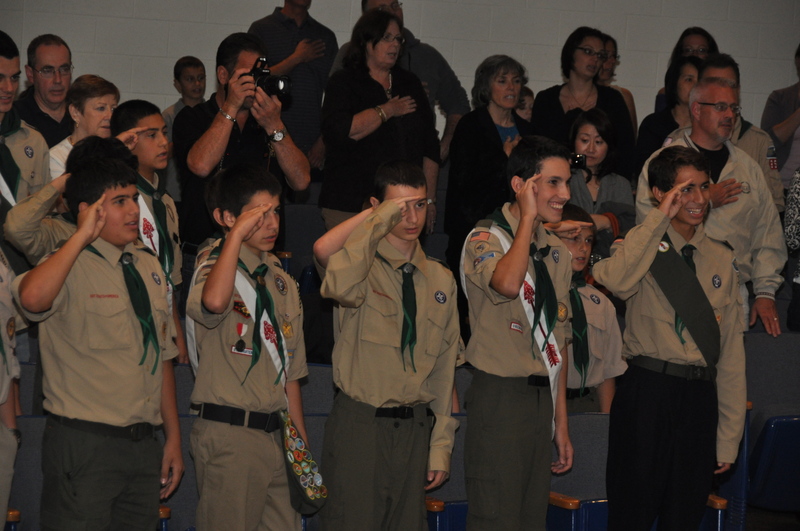 Scouts were awarded 106 merit badges, 25 scouts advanced in rank and numerous special BSA Awards were handed out! The troop also surprised long-time sr. committee member, former Committee Chair and former Scoutmaster Richard Schraudner with a Lifetime Achievement Award, presented by his long-time colleague Mike William (a prior year Lifetime Achievement Award winner). The highlight of the evening was the announcement of the winner of the Annual Good Turn Service Award and the Annual Scout of the Year Award. For the Good Turn Service Award is given to the Scout with the most community service hours accumulated through Scouting, School, Religion and general volunteer work. The clear winner in 2011 was James T–even excluding his nearly 50 hours of community service as a Den Leader, James still had more community service hours than nearly every scout in the troop! The Annual Scout of the Year Award is a once-in-a-lifetime achievement award and it measures a broad base of activities including advancement, leadership, training and participation. As well, adult leaders offer their perspective on various candidates and which scouts consistently display the best overall Scout Spirit throughout the past year. In 2011, lightning striked twice as there was a tie between Will B (a prior year Good Turn Service Award winner) and current SPL Chris L!! All in all, it was a very memorable evening for Troop 353 and its growing family, as these great pictures (Courtesy of Anita Rosner) will attest!